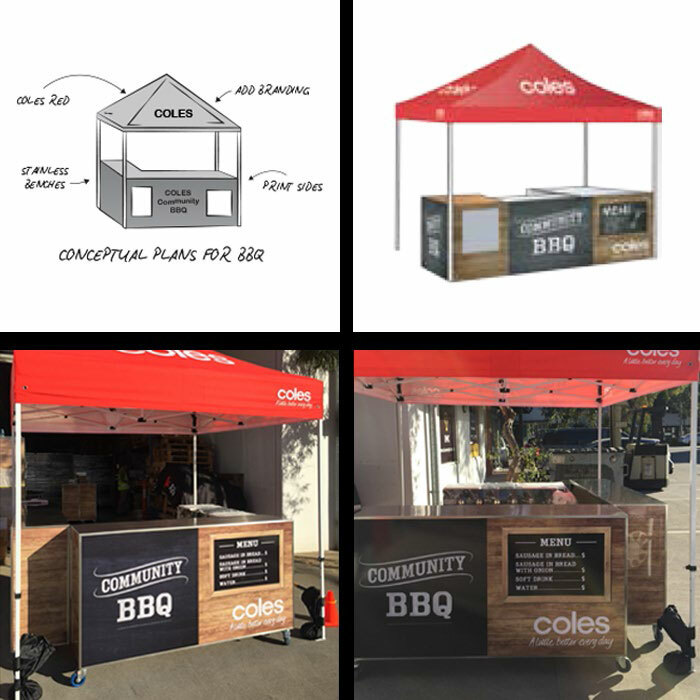 IMC was engaged by Coles to provide a solution for their Community BBQ project. IMC designed, procured and produced a custom made, self contained, semi permanent BBQ stand. The stand was completely customised with branding on all panels and canopy for high impact and visibility. The stand is semi permanent with foldable sections so it is easy to set up, pack away and store. The stand has been well received by the client who said that “It looks great and was a roaring success!” at their Family Day.